Anyone ever own one of their sword? They look good but I haven't seen anyone here talks about their sword before. Are you looking to use a Wulflund as a blunt trainer, or as a sharp. Two people in my Stage Combat group use them, and I have one as well. I've been using it for 4 months now and it is holding up pretty well, but I don't know about their sharpened swords. Blunt mostly, getting a sharp is impossible for my country. Thanks for bringing up Wulflund. I had not looked at their website for a long time. I am thinking about one of their Saxes, and overall their prices are quite attractive. I'm a little curious about the buying experience with Wulflund. Did you buy directly from their website, and how did it go? Yes I did order from their website. Their processing was quick and painless, the shipping costs weren't though. I bought the renold and it cost about $60 to have it shipped to me here in Texas. Even though their shipping costs are high The sword still arrived within one week well packaged. I would recommend Wulflund to anyone interested in their fencing products. Just be aware that some of their products are not quite finely finished, as in most of their swords have an antiqued look to them. Another interesting point is that their guards are brazed in plasm as opposed to fabri swords which are just press fitted. The pommel on mine was placed a little off center and turned slightly, but I think it added character to my sword. Also this is how real medieval swords would have looked like: a little worn with some slight mistakes. The blade on mine is decently flexible and the cross needed some file work because the corners were really pointy, but all in all I'm very satisfied with mine. Well, I took the plunge and ordered their antler handled sax, sharp with scabbard. Should be ready to ship in a couple of weeks. Shipping about the same Evan, $63 was quoted I believe. They are not asking for payment until the sax is made and ready to ship. I liked that part. I would like you to do a small review either here or made a new thread, so we can see how's their blade work. ..following my heart, I'm living free.. I've seen their stuff on other CZ websites. They all "claim" to be the original maker. that's a jolly useful list! Thanks for posting. I have been waiting to reply to this post until I had received my new long sword in the mail from Wulflund. I have had it for over a week now but hadn't had a chance to snap a couple pictures until today. 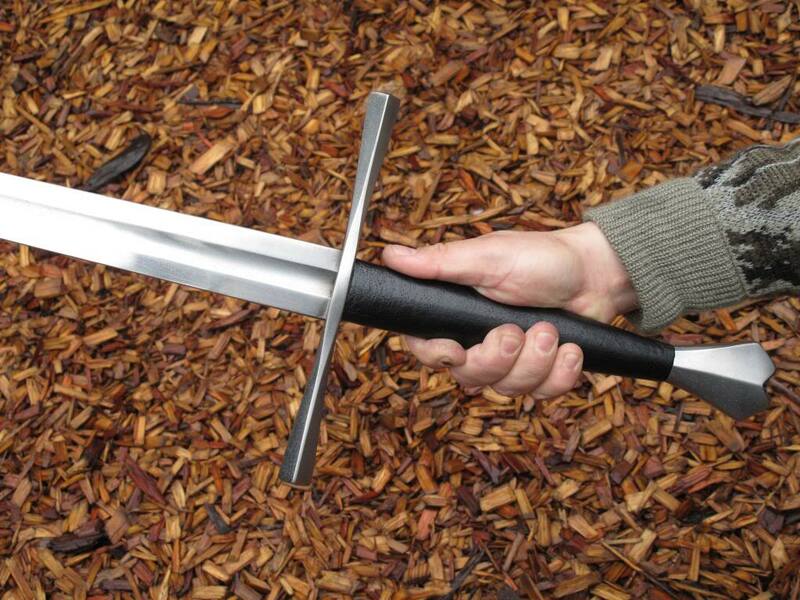 As has been stated already in this thread, Wulflund carries swords and products made by different craftsmen/smiths. In 2012 I was in the market for a blunt Viking age sparring sword. After a lot of research I took my chances & ordered what I considered to be the best looking sword for the money from Wulflund. Out of all the different swords available on the site, this particular maker/smiths work stood out. The weapons appeared to be well made with a nice clean finish. Since the sword I ordered was not in stock, it had to be made for me. I believe I waited 7 or 8 weeks before delivery and was extremely satisfied with the sword when I received it. The fit, finish, balance and quality of the steel used are excellent. I especially like the proper 2 part pommel riveted together. After using the sword to spar against Hanwei Tinker Viking blades, I was surprised to find that my sword received very little if any nicks or edge damage whereas the HT blades got chewed up. I was sold! 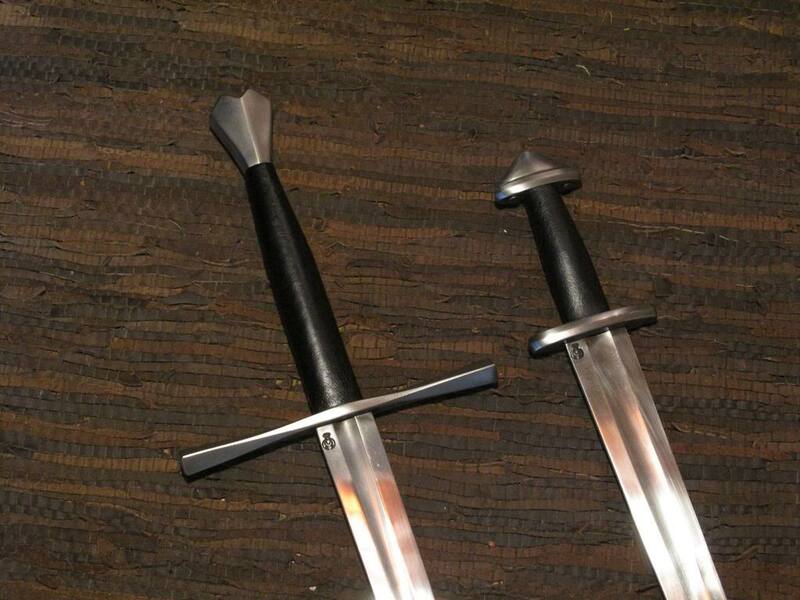 This past December I ordered another sword from Wulflund by the same smith. I wanted a longsword durable enough to hold up to fully armoured combat. I have had an I-Beam trainer fail on me already and wanted a sword that was peened and more durable. Once again, I am very happy with the over all quality of this particular sword, especially the hilt fittings. At this price point you can usually expect some sloppy lines, asymmetry etc. Not here! The cross guard and pommel have very clean symmetrical lines with an unblemished mat finish. The blade is of the same quality as the Viking sword, though I have yet had a chance to put it through the paces. For just under $300 shipped to California, I have not seen a better product. Even many of the higher priced blunt/trainer swords I have seen by other makers do not compare. ^ That Geibig Type V is very tempting. Thanks for the quick review. If you don't mind my asking, how is the handle length compared to your hand? A friend of mine showed me Wulflund a while back while looking for some Celtic stuff for his own pursuits, but I took too long to follow up myself and forgot about the site until now. Nice to have my memory jogged here. Wow that does look really amazing, but how do you tell which maker made which sword? I am interested in this sword, but can you tell it is the same maker of your swords? To Peter - The grip length is 4 & 3/8ths inches long. Works fine for my hand though a little longer than historical examples. From what I've seen pretty standard, it seems most makers leave the grip long enough to accommodate the use of protective gauntlets. I do like the shape of the grip. Fits in the hand nicely and allows for different gripping techniques. The grip wrap is nothing special, I will be re-wrapping mine once I tear this one up. To Foong - The sword you linked to is made by the same maker. His work tends to stand out compared to the others, less "rough" looking, cleaner lines & finish, same grip material & price. All the longswords made by this person are same price with what appears to be the same blade, just different hilt components. Here are what I believe are the different swords offered by the same maker. There may be more, but I think I got them all. I just want to tell you that this year we celebrate 10 years of an existence. We started as everybody else - as a shop, re-seller .. we needed to gather money for my life's passion and aim - own swordmaker's workshop of world's quality .. to continue in this old craft which has in Bohemia very long tradition. But to the next decade we will step as a manufacturer. These 10 years served us to build some background, to make contacts and experiences. Our aim is to produce top quality swords which quality I will guarantee by my name. 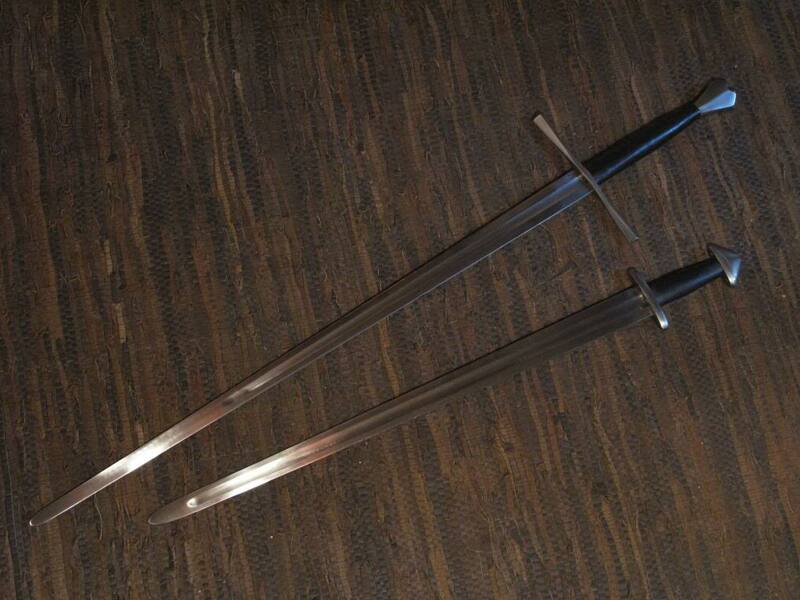 Our product line will be: "forged swords" in top Czech manufacturer's quality ... I will send our swords for an independent Youtube review. I am still thinking that this new Wulflund's branch will have a different name, because on Wulflund's eshop you will be able to always buy work of outher swordmakers who asked us to help them with export .. and it can cause some misunderstandings. I will send here a link later of a new webpages just with our swords. By the way we will every year organize a one week swordmaker's workshop with accomodation and food .. and Czech beer First year I expect in September 2015. Honestly ... when somebody wants to buy swords from us, I can reccomend this sword or not. Don't hesitate to ask me. It is more important for me that you will buy quality sword than to read here some negative reviews.